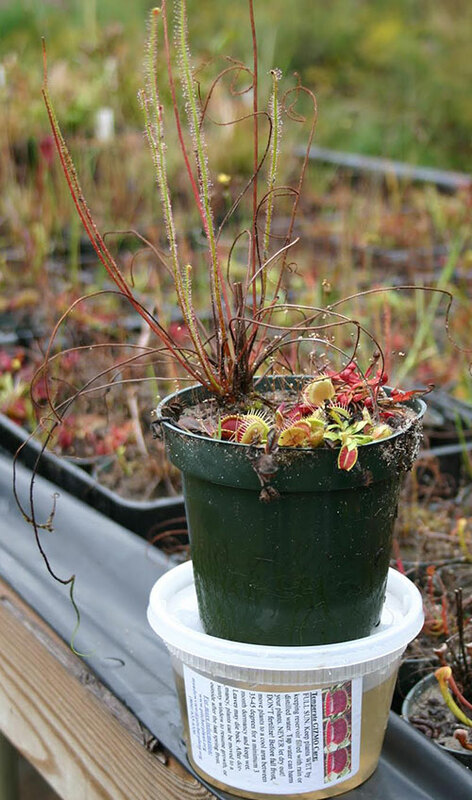 For those just starting out we offer a combination of Pitcher Plant, Sundew, and Venus‟ Flytrap. Due to plant quarantines on soil mixes we do not include soil with the GIZMO when shipping to the following states: AZ, CA, ID, NV, OR, UT or WA. 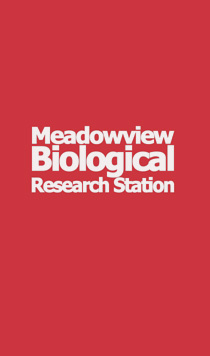 The GIZMO was developed by Meadowview member Gary Carson to meet the challenge of raising these fascinating plants in an urban environment. Specifically, the GIZMO includes a water reservoir and wick which keeps the soil constantly moist. One of the most common failures for beginners is allowing the soil to dry out and the GIZMO helps prevent this problem. In addition, the watering holes are covered by the top container and prevent mosquitoes from laying their eggs and becoming a nuisance. The GIZMO includes a Sarracenia pitcher plant, a sundew (not pictured), Venus flytrap, and soil. Instructions are included. We recommend placing the GIZMO outside during the growing season but plants can be forced inside in late winter. Have your own ideas for a GIZMO? We can send you the kit without any plants for you to fill with plants of your choice! It can be used for several small plants, or for one or two medium plants. It will work for anything from flytraps, Sarracenia and sundews, to Nepenthes, Pinguicula, Cephalotus, or whatever you choose! The kit will include a pot, wick, water reservoir and lid, and soil mix of your choice (see soil mixes on next page). The GIZMO setup is particularly helpful for plants that like their soil moist to wet, but not waterlogged, as the wick gives them just the right amount of moisture. Examples include Cephalotus, Tropical Pinguicula, and Nepenthes. Instructions are included. Please note soil is only included upon request.